Understanding your own power in the healing process is the pivotal step. Is the doctor giving you advice that doesn't gel with you? Do you feel that things aren't really lining up to truly help you? Are your prescriptions causing you side effects and not really helping you? Do you feel your doctor is not listening to you? 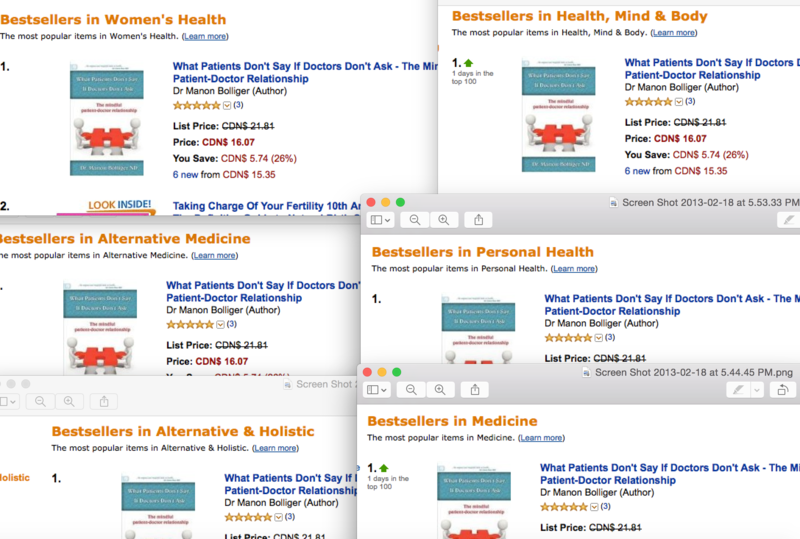 I wrote this book to change the dialogue on pain and illness to one of health and insight. What I have learned from 25 years of practice, is that when patients are given the opportunity to be truly heard, they gain the power to understand their symptoms and impact their prognosis. I go through example after example of factors that can affect your outcome and what you can do to find the help you are looking for. Why a diagnosis does not predict the outcome in your health, including how long you will suffer from chronic pain, fatigue, or anxiety. “Successful Patient Secrets” so you know exactly what will support you to get out of chronic pain and back to your best YOU again. How to support your health efforts and work with your chronic pain without breaking the bank. Understand the traps and limitations of Conventional Medicine so you can take the good and leave the bad and leave chronic pain behind. Bonus: When you order on this page, get 5 videos to support you! HURRY! Life is too short to do it all alone! ...have gone from doctor to doctor, trying to find out what’s “wrong” with you. This book will change all of that. Health is not a struggle. Your body has the ability to heal itself. Learn how to ignite health and transform "dis-ease" to "at-ease"! "The book is a brilliant, clear and insightful conversation about the emerging understanding of disease, especially chronic pain, the mind-body connection and healing. For me this is a ‘must read’ for patients, doctors and health practitioners alike to forge a beneficial cooperative team. 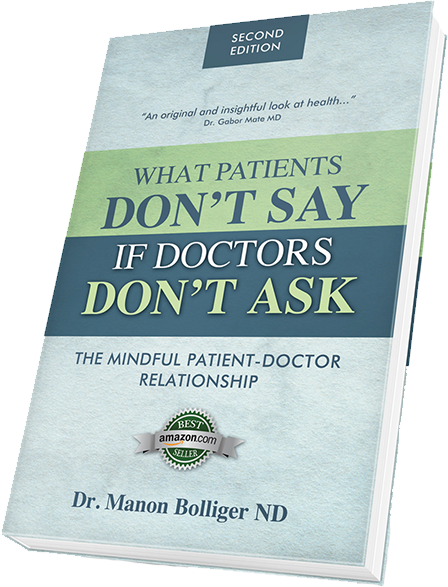 Dr. Bolliger speaks to my own message, namely the critical importance of going after mental/emotional/spiritual context of the illness, what lies behind the symptoms, and addressing the patient as a whole. "This book is deserving of your interest and support. Please pass this message along and help spread this empowering message." While I was in practice and seeing patients, I developed stage 4 Cancer. I was told by the oncology department that a hysterectomy was my best choice. I had been trained as Naturopathic Physician and had successfully used many tools to address chronic pain, autoimmune diseases, and all kinds of conditions, even those that did not fit into a specific diagnosis. So I knew my body could heal itself, but I didn’t know what I personally needed to do. I did not understand how to navigate my personal path and I was so in it, I couldn't see it. What triggered my cancer? That was the beginning of my journey. I understood that I was not just to look for natural alternatives but to look within and have a new conversation with my body. I took the time to connect with myself and my body and feel my pain, observe my thoughts, allow my feelings to come and go. This changed everything!! While I developed my own path to full recovery, I created the Blueprint to Healing Intelligently from the inside out. My labs returned to normal, and I never needed the hysterectomy. But the best thing was that I learned that how you live is how you heal. I remain healthy and have shared this wisdom with thousands of people, as well as my private patients. I want to share all this with you on your journey back to health. So what are you waiting for? Come join me!!
" Amazon Best-Selling Book - In 6 categories!"